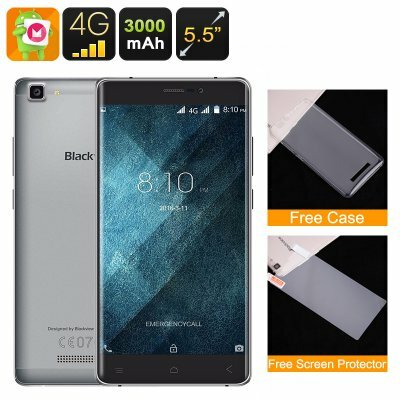 Successfully Added HK Warehouse Blackview A8 Max Smartphone - Dual-IMEI, 5.5 Inch Display, Android 6.0, Quad-Core CPU, 4G, 3000mAh (Grey) to your Shopping Cart. The Blackview A8 Max is a budget phone that, despite its highly affordable price, comes with a range of sophisticated specs that one would normally only expect to find on a high-end device. Running on the latest Android 6.0 operating system this Chinese smartphone delivers an exceptionally smooth and fast user experience that comes with all the trusted features Android users are familiar with. Its beautiful 5.5 inch display comes with an extra large viewing angle and lets you enjoy all the phone’s features in stunning detail and color. Media and games truly can be experienced like never before with the Blackview A8 Max, as its HD display allows you to enjoy a mesmerizing experience from the palm of your hand no matter the time of the day. Work and private life can be easily separated on this Android phone as it features Dual-SIM car slots and holds two IMEI numbers. Thanks to this you will be able to be reachable on two phone numbers simultaneously while using just one device. With the Blackview A8 Max at hand you can be sure that you’ll never be out of reach again for your colleagues, friends, and family. Additionally, this affordable smartphone also supports 4G connectivity, letting you enjoy the fastest data speeds out there. Online calls, streaming movies, and playing games online – with this Android phone you can be assured to always enjoy lightning fast connectivity no matter where you are. Packing a powerful Quad-Core CPU that has been clocked at 1.3GHz along with 2GB of RAM; the Blackview A8 Max holds some serious hardware that lets you enjoy media, games, and demanding multitasking sessions without dropping a frame. This Android smartphone has furthermore been equipped with a Mali-T720 graphic’s unit that provides you with stunning details and graphics while playing the latest games or watching your favorite HD movies. With this Chinese smartphone at hand nothing stops you to head out to the Play Store and download all the latest Apps, games, and movies to enjoy countless hours of upcoming mobile entertainment and fun. Equipped with an 8MP rear camera the Blackview A8 Max lets you snap sharp images where ever you are. Additionally, this smartphone features a high quality 5MP front snapper, perfect for all selfie lovers out there. With this phone in your pocket you can be assured that not a single special moment in life will ever be forgotten again as from now on you’ll have all means necessary to snap stunning pictures at any moment. With 16GB of internal memory and an additional 64GB or external memory it is guaranteed that, with this Android smartphone, you will always have enough storage for all your pictures, files, and media alike. 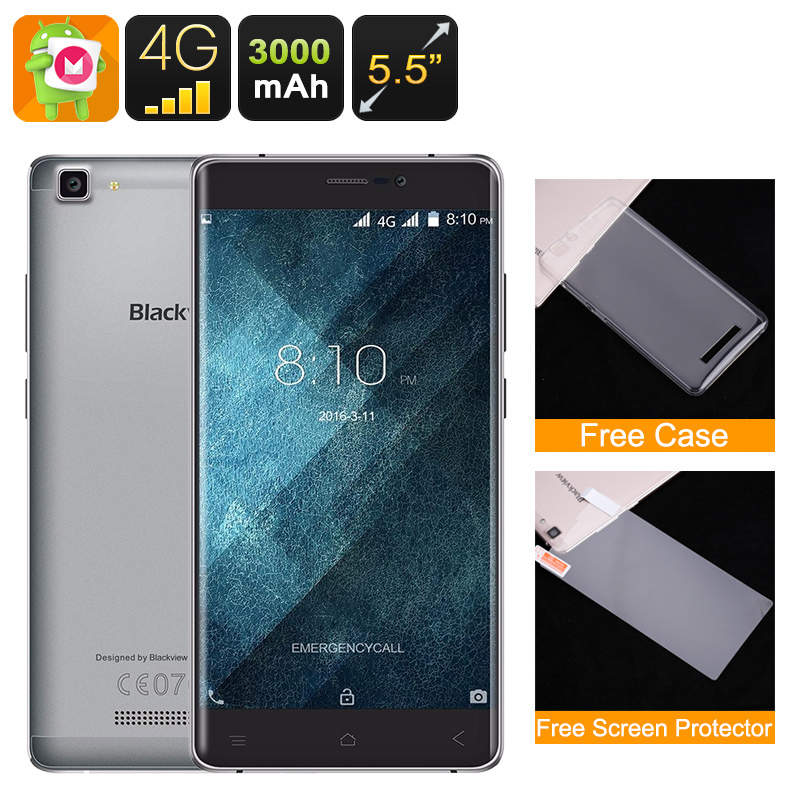 This Blackview A8 Max comes with a 12 months warranty, brought to you by the leader in Android smartphones as well as wholesale electronic gadgets..